Egypt – Cameroon – We believe that hardly anyone expected it is this final African Cup of Nations in Gabon, no matter what it comes to teams that have been as many as 11 times won the competition. 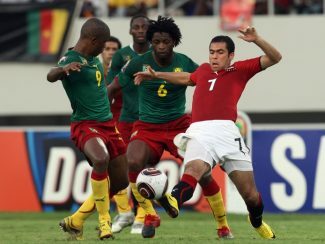 In fact, Egypt is the African record holder with seven titles of the continental championship, while Cameroon so far won four, but what you also need to know that the Egyptians were not even qualified for the previous three editions of the African Nations Cup, but Cameroon has managed to do so only once, two years ago when they were knocked out immediately after the group stage. However, in this tournament in Gabon neither of these two selections is unbeaten and therefore definitely deserve to be Sunday night fight for the title of champion of Africa. Suppose even that they last met in 2010, also at the African Cup of Nations, and then Egypt in the quarter-finals after extra time won with 3:1. What is also interesting is that the Egyptians just at this championship came to its last league title in Africa, after which there was a major crisis in their football because since then there was no one big competition. But since it was in March 2015, took an experienced Argentinian Hector Cuper, the Egyptians are slowly starting to come back on the big stage and now in Gabon have a great opportunity to reach their already eighth title of continental champion. And they are fully deserved a great finale best confirmed by the fact that so far in this championship achieved four wins and one draw, and with only two goals conceded. The first in the group stage played 0: 0 against Mali and with the 1: 0 win over Uganda and Ghana, but then the same result and in the quarterfinals they defeated Morocco. But in the semifinals them at the selection of Burkina Faso has created big problems and they celebrated only after a penalty, while the 90 minutes final score 1: 1. Otherwise, Cuper in that match he could not count on even five injured players (goalkeeper El Shenavyja, defender Abdel-Shafyja, midfielders and attackers Elnenyja Mohsen and Hassan), but that they did not bother to qualify for the grand final and therefore we believe that he and against Cameroon to field the same lineup as in the semi-finals. As for the selection of Cameroon, they are his last world title conquered Africa in 2002, and with that brilliant generation led by the young and the only rising star Samuel Eto’o, but since then have repeatedly failed to make a serious result on this competition, which are even missed 2012 and 2013, while two years ago, dropped immediately after the group stage. However, now in Gabon apparently came fully prepared and unbeaten pushed even to the finals, where they will turn to the opponents have your old debtors, but also najtrofejniju African team, Egypt. While Egyptians have a lot more problems with truancy, we still believe that they are somewhat closer to victory in this final battle, simply because of the start of the championship act as an extremely compact and reliable team, and with it still in their ranks and have a big star Salah, who only one lucid move can decide a match like this.